Treasured Teeth strives to provide the happiest place for kid’s dentistry on earth! We treat your children as if they were our own. Their comfort and safety are our top priorities. Children feel the warmth and fun atmosphere of our dental clinic and pediatric dentists but sometimes still experience dental anxiety or phobia. We would love to wave a magic wand to rid your child of cavities. However, since this is not an option, sedation dentistry or general anesthesia is a fantastic choice for many patients. Our licensed and highly trained pediatric dentists would love to speak with you about the benefits of these appointments and help you choose the best option for your child. 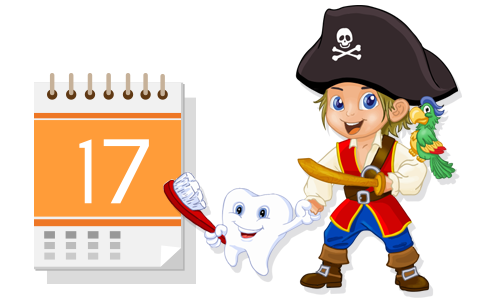 Combining our efforts as a team is the best plan to create awesome dental appointments for your child. We offer three types of sedation dentistry for our patients at Treasured Teeth. By talking to our pediatric dentist, you’ll get an experienced recommendation about which type of sedation dentistry would work best for your child. Otherwise known as laughing gas. Once the gas is turned off, your child will be encouraged to breathe normally, and then they can continue going about their day. Your child will drink some medicine mixed with some juice, which will make them sleepy. If they fall asleep, they can be woken again with ease. An anesthesiologist will put your child to sleep, just as they would if you were undergoing a minor operation. Nitrous oxide (laughing gas) begins to work in just a few minutes. The gas will help your child relax during the procedure and he/she will be awake while the doctor works on his/her teeth. Our dentists will be able to have a conversation with your child, tell them stories, sing songs, or whatever your child enjoys to keep them occupied and distracted during the procedure. Once the dental work is complete your child will continue to breathe as normal and the effects will be reversed in just a few minutes. Your child will return to their typical self and may resume regular activities following the appointment. Oral conscious sedation produces heavier effects than those of nitrous oxide but is not as pronounced as general anesthesia. Your child will drink approximately two tablespoons of juice mixed with a little medicine. The medicine will make him/her feel sleepy and they often choose to fall asleep but can be awakened with a gentle tap on the shoulder. Your child’s mouth will likely feel numb and strange following the appointment but they skipped the portions of the appointment that were not as fun. After the appointment, your child will be tired but alert and responsive. They will need to be watched by an adult for the remaining of the day. Books and TV are great activities while sports and school are not. Your child will likely feel normal by the next day. 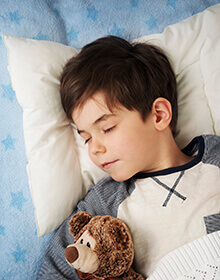 General anesthesia performed in the office or hospital will help your child fall completely asleep, similar to when a child has their tonsils removed or ear tubes placed. The anesthesia will be performed by a competent and licensed anesthesiologist. While asleep, your child will not feel pain or discomfort and will have no memory of the dental work, which will be completed by the extraordinary pediatric specialists at Treasured Teeth. At the conclusion of the procedure, your child will be awakened and discharged once stable. Your child may feel fatigued and sleepy that day. As with conscious sedation, books and TV are great activities. 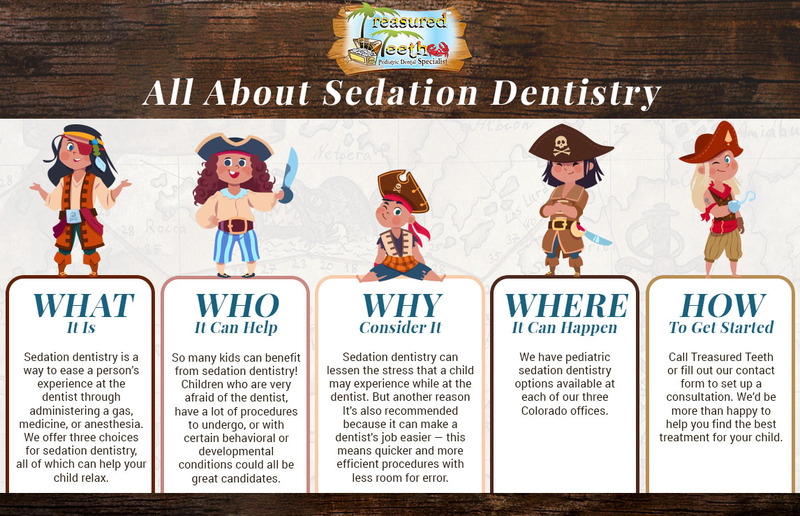 Who Can Sedation Dentistry Help? There are many reasons a parent and pediatric dentist might choose to utilize these procedures. Here are just a few examples, but even if your child isn’t on this list does not mean they wouldn’t also be a good candidate. As we said, these are just a few examples of who might benefit from sedation dentistry. At times, it is not safe for pediatric dentists to perform dental work while your child is awake because they can unintentionally injure themselves. The main goal for our doctors is to create a safe environment for your child, which is why we recommend this treatment option and make it available at our dental offices. How Do I Know if My Child Needs Sedation? There’s no way to know for sure how your child will react to dental procedures but we can make an educated estimation once we view his or her behavior in the dental office. If we’ve determined that your child’s safety and comfort would be enhanced by utilizing conscious sedation or general anesthesia, we will discuss options and work with you to determine the best treatment plan for your child. We invite you to contact our dental clinic to find out more about conscious sedation and general anesthesia options available for your child. Your consultation is absolutely no charge to you. Your child deserves the best in dental care. They deserve a stress-free experience, and so do you! Your family deserves Treasured Teeth for exceptional pediatric dentistry. Get in touch with either of our three locations to begin, we’re excited to meet you!